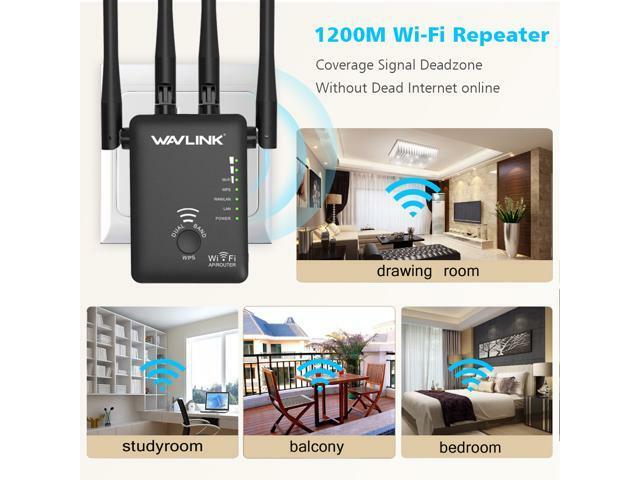 Using the Wavlink 575A3 Range Extender, you can easily extend the range of your existing wireless router to create a strong Wi-Fi signal for all the devices in and around your home, including smartphones, tablets, ultrabooks, and more. Greater coverage allows you to enjoy fast Wi-Fi speeds on your laptop or tablet . 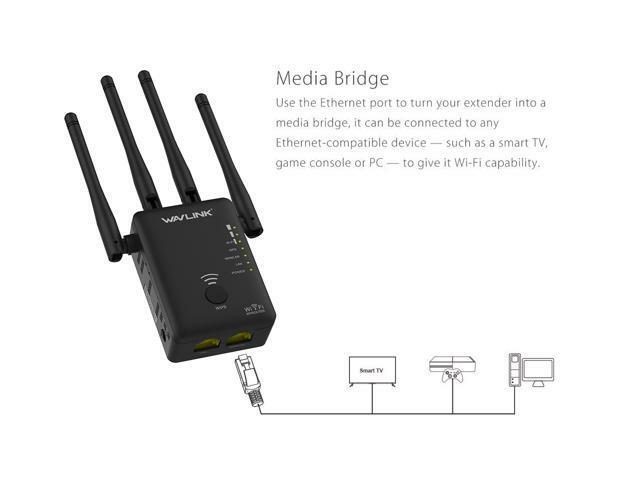 It can Creates Wi-Fi speeds that are up to three times faster than wireless-N. With this extra speed, you can stream HD-quality videos and play online games seamlessly without interruptions or lag. 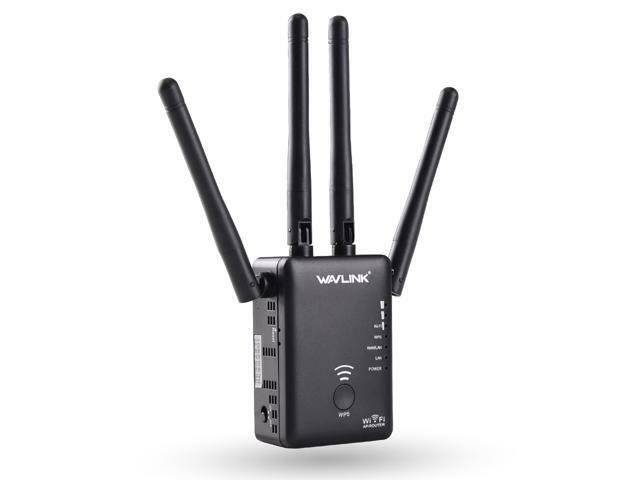 575A3 supports up to 128-bit encryption (WEP, WPA, and WPA2) and is equipped with a Wi-Fi Protected Setup button, allowing you to connect simply and securely with a wireless router or access point. The AC1200 Wifi range extender is designed to plug into any of your home’s outlets, making it easy to install and move around your home. 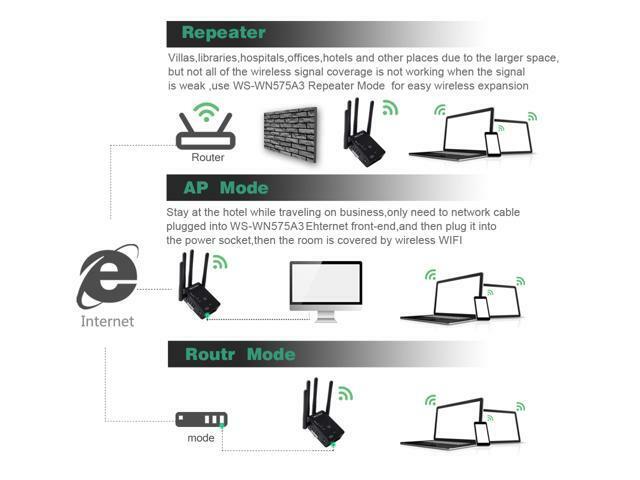 Three working modes: router mode, AP mode and repeater mode and they will meet your different network requirements based on different circumanstances. Functions as a mini router, connects to Internet provided by your ISP and broadcasts a wireless signal that allows creation of your own network , thus more users share the Internet. 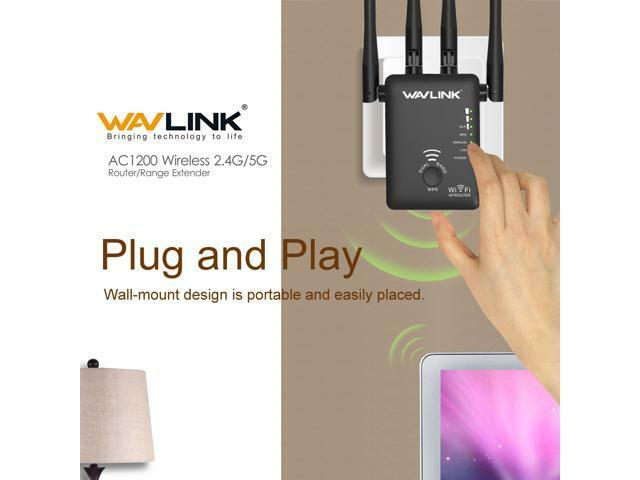 Creates a wireless connection from a wired source in Access Point mode. 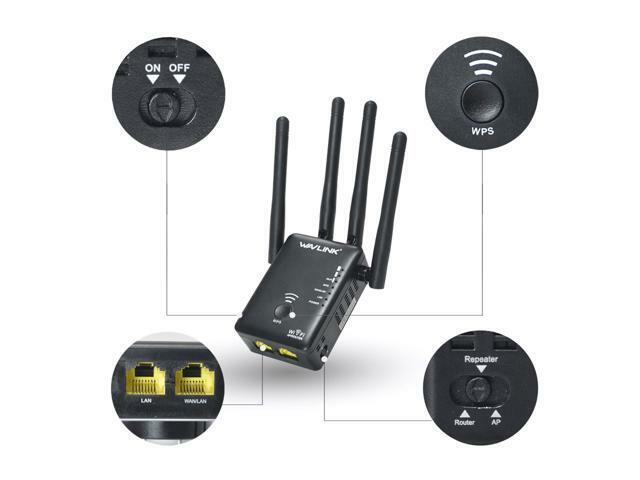 If an Ethernet port or cable is available, the router will connect via Ethernet and broadcast a wireless network compatible with any devices to use. 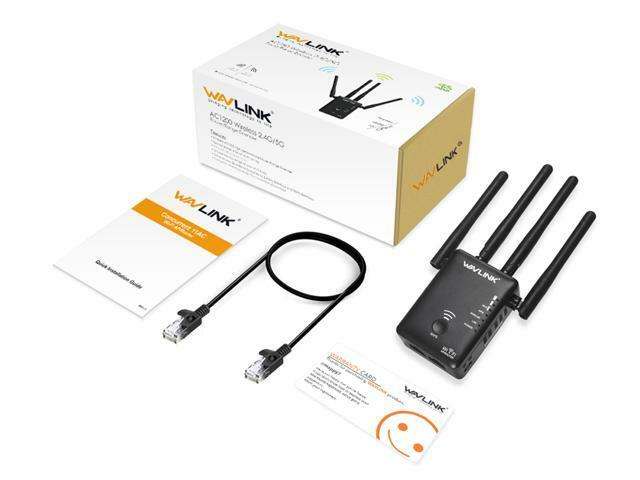 Connects to your existing Ethernet network and extends your wireless signal comprehensively. WPS quick setup button- One key, easy and quick setup with the WPS encryption button. High performance antennas- 4x 3dBi high performance antennas, assist you a fast and stable Ethernet network field. RJ-45 Ethernet ports- Sharing 2x 10/100Mbps Ethernet LAN/WAN ports, providing a multiple-choice for you.